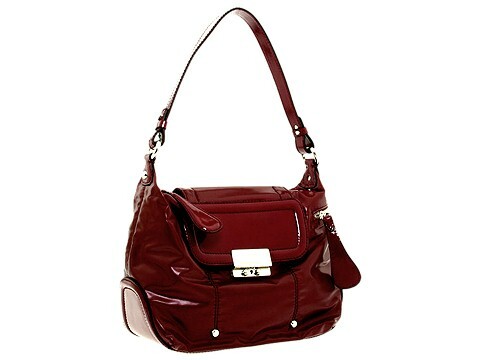 This polished patent leather shoulder bag from Francesco Biasia, will have you bringing in the new year with a new you. Holds your wallet, keys, sunglasses, lipstick and personal technology. Dimensions: 10 1/2 wide across bottom, 12 1/2 wide across center, 12 1/2 wide across top x 5 deep x 9 1/2 high. Single shoulder strap. Shoulder drop: 9 1/2 length. Platform bottom. Push lock and zipper closure. Interior lining with a back wall zip pocket and multifunctional slip pockets.